Too Many Audiences Wish They Were Somewhere Else - Especially When it Comes to Business Presentations! Are You or Your Team Engaging, Charismatic, Clear-thinking and Succinct when Speaking? Could You be Losing Business, or worse still Your Reputation, on the platform? Too often an individual's ability to speak is taken for granted. But in my experience, a person's capacity to be Engaging, Influential or Inspiring is a skill like any other - and It Can Be Learned. Inspiring audiences to listen ... and, crucially, to take action! What unites my clients is a deep commitment to making the greatest possible impact with key stakeholders. I love helping them achieve precisely that. Finalists from Spain, Malaysia, USA, Netherlands and UK. The big pitch delivered to 2,500+ audience members at the European TNW Tech. Conference 2018, Amsterdam. $1 million shared between the 5 finalists: Congratulations to all! Clients value Simon’s practical approach, drawn from first-hand experience and centred on techniques that work, rather than from abstract principles or a manual. expert help provided for thousands of people across 23 countries. "If there's one person who can make public speaking sound easy, it's Simon Bucknall." "Simon has supported DPD over the last three years to great success - he's the 'Go To Man' for Senior Managers in our business who want to develop their presentation skills." "I was recently promoted into a role where public speaking and inspiring people has become more central to my ability to be effective. "A few hours spent with the awesome Simon Bucknall - worth every penny. If you're looking for public speaking coaching, Simon's your man. "I employed Simon for one-on-one presentation skills coaching, as I was required to speak at my company's annual conference. With Simon's advice, coaching and guidance, I gained valuable knowledge and confidence which made a huge difference to, and significantly improved, my delivery on the day. Simon is a great coach, and I will certainly consider using his services within my business going forward." "Working with Simon really changed both my work and my academic life... building and inspiring confidence in speaking publicly as well as understanding how to build a message to deliver. Be that a business powerpoint presentation or an academic argument in a multi thousand word document. I would recommend Simon to any individual looking to grow their skills and confidence as well as any organisations looking to build how their employees take the business message out to the market and engage with clients." "Simon gave me excellent advice on my upcoming talk for TEDxLBS [London Business School] - great pointers on both narrative and delivery that really put the final polish on my presentation!" "Simon helped me transform a dull standard webcast for 330 professionals in 55 countries into something exciting, inspiring and effective." "Simon, the direction you took me in within a 25 minute phone call opened my eyes to a whole concept in my speech I was yet to uncover. I can now absolutely see why you have the reputation that you do. To say I am thankful is an understatement." "Working with Simon is a real inspiration. He helped me with writing and delivering an important speech from my heart... presentation style and my voice... I find sessions with Simon priceless. He has a great talent of storytelling... you can develop your key messages, find roots of creating connection to the audience and in the end - persuade and make a change! He is very kind and supportive... believes that words matter... you are a beginner or an expert in public speaking - you will find Simon's assistance as one of the most important experiences for your professional life. In any field where you need to speak up and win your arguments - Simon is a great person to help you with achieving it! Simon offers executive speech coaching and mentoring - based in London, UK and travelling internationally. "Working through this video program has made a huge difference to my speaking. After my conference presentation, I had so many executives telling me: 'I want you to come and work for my organization'. It just goes to show the power of impactful speech...I can't count how many people told me my presentation was THE best." Simon is based in London UK and travels internationally. If you wish to learn more about what we offer, please do contact us directly here! I was blown away by how the Top 5 Chivas Venture finalists stepped up and delivered such impressive and engaging pitches in front of 2,500+ people, following their work with you. "I recently had the privilege of Simon's 1-2-1 mentoring, both developing as a speaker and building as a business. Simon has excellent knowledge and experience in these areas. His style is direct, honest and inspiring. 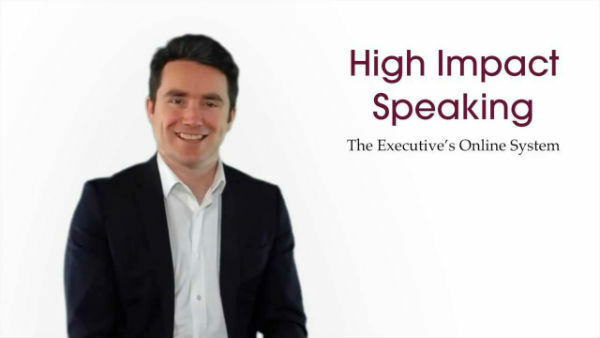 I can recommend Simon to anyone looking at taking their speaking or speaking business to the next level." "In helping us prepare for a series of investor-critical presentations, Simon worked one-to-one with our entire team of speakers over several months. He made a huge difference, helping them speak with a confidence I've not seen before. Key stakeholders from the audience made a point of commenting on how impressed they were by the value and impact of the presentations. I can't count how many people told me my presentation was THE best." "Working with Simon really changed both my work and academic life. Both building and inspiring confidence in speaking publicly as well as understanding how to build a message to deliver. Be that a business powerpoint presentation or an academic argument in a multi thousand word document. "The Blavatnik School of Government is dedicated to a world better led, served and governed. These aspirations depend on a deep ability to communicate and connect and we are incredibly fortunate to have Simon guiding us on a range of techniques and skills. "Simon has been working with graduate students at Oxford University's Blavatnik School of Government and I can personally say that I have learned so much from my one-on-one session with Simon. His feedback and advice are so specific, practical, and applicable. I am thrilled to have met Simon, and will continue to recommend him to all doctoral students I come across who need to work on translating their ideas into understandable speeches and presentations. "Simon gave me excellent advice on my upcoming talk for TEDxLBS - great pointers on both narrative and delivery that really put the final polish on my presentation!" "Working with Simon is a real inspiration. He helped me with writing and delivering an important speech from my heart ... presentation style and my voice ... I find sessions with Simon priceless. He has a great talent of storytelling ... you can develop your key messages, find roots of creating connection to the audience and in the end - persuade and make a change! He is very kind and supportive ... believes that words matter ... you are beginner or an expert in public speaking - you will find Simon's assistance as one of the most important experiences for your professional life. In any field where you need to speak up and win your arguments - Simon is a great person to help you with achieving it! Highly recommended!" "I was recently promoted into a role where public speaking and inspiring people has become more central to my ability to be effective. I was amazed by how effective just one session was. I heard indirectly that my presentation had been particularly inspirational - one person even contacted the Director of my organisation to say how impressed he had been. Without any exaggeration, I give all the credit for this success to Simon." "An expert on presentations - if you ever need help or a refresh, he's your man." "My session with Simon was hugely beneficial. The way he helped me to isolate my key message and then build from there really paid dividends. If anyone needs help in sculpting a speech, Simon should be your first port of call." "I just wanted you to know that my client presentation went very well. I felt it flowed much better than usual, making it more engaging for the client. The new approach to the material also matched their thinking very closely. So a success!" "I needed some guidance in terms of voice pitching and techniques. Simon was efficient in spite of the short time allocated. I highly recommend his services for those who decide to make SPEAKING part of their career. The best." "After I won the London Speech Contest, I thought my contest speech was really good, but Simon amazingly managed to find a way to make it even better and polish it up. He made a lot of valid suggestions which I took on board and placed 2nd in UK & Ireland Speech Contest a few weeks later. 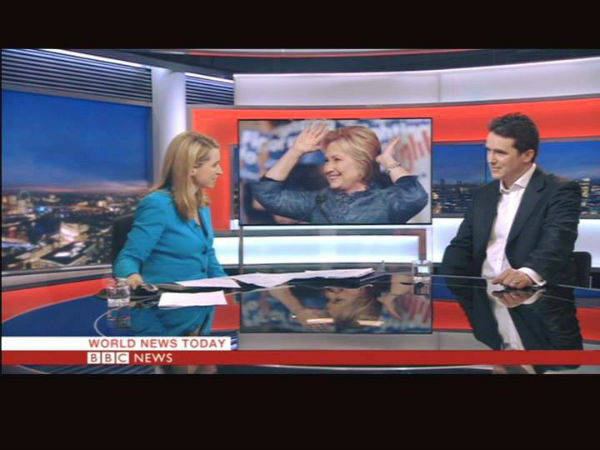 He also gave me a lot of useful tips about how to behave on a big stage when speaking to a large audience. He's also a very friendly guy and I enjoyed a lot working with him on that speech!" "Simon is not only highly accomplished in the art of public speaking; he is also a terrific public speaking coach. His practical, insightful feedback makes a real difference. If you are a high-achieving professional, and you want to achieve greater impact when speaking in public, then contact Simon."